Peter Svidler joined Sopiko Guramishvili, Alexander Grischuk and Anish Giri in commentating on the Carlsen-Caruana match for chess24. 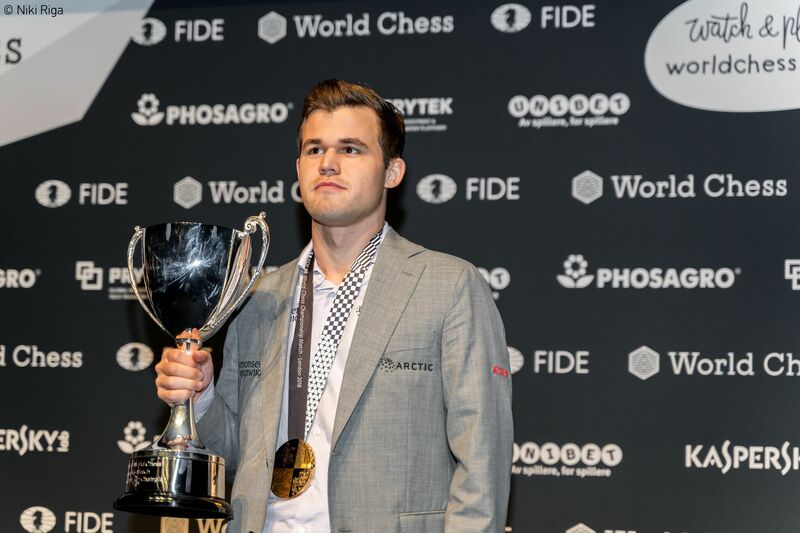 Afterwards in an interview for a St. Petersburg newspaper Peter talked about his surprise at the bloodless outcome of the classical section of the match – and also at how toothless Magnus Carlsen’s play with the white pieces had been. He discusses the impact of the match and what changes, if any, need to be made to the World Championship cycle. Leonid Romanovich: Peter, were you surprised by how the match went and how it ended? Peter Svidler: I was surprised, above all, by the score – I expected a lot of blood, and we saw only draws. But of course a great deal depended on the first game, in which Magnus didn’t win a position which in a normal situation he would have won 9 times out of 10, or even more. If he’d won that game the match would have gone entirely differently. Carlsen would have started to play more freely, while Caruana would have been forced to take risks. Overall you can break the match down into two absolutely different halves, but not by time but the colour of the pieces. The way Carlsen acted with White was extremely toothless – he only once got any kind of advantage, and even then it was clearly insufficient to really fight for a win. His games with the black pieces, meanwhile, turned out to be extremely hard-fought and full of intrigue. What can you say about the level of play? In my view the level was extremely high – perhaps it was the “cleanest” World Championship match in history. Of course while analysing with a computer you may get a different impression, but I commentated on the match without one, and outwardly the feeling was that we were seeing very high quality play. By the way, that’s largely why we didn’t get decisive games. Even in winning positions it only took one mistake by the stronger side to let the win slip. After that the players defended so stubbornly that they held even very difficult positions. And what about the opening duels? Did the match provide any revelations in our computer era, or is that no longer possible? The players adopted totally different approaches to the opening. Carlsen with Black consciously went for it, aiming for a full-blooded fight – and by and large he managed to get one. Caruana, on the contrary, played strictly to hold with Black, and he managed that even better. As for novelties, we didn’t witness anything stunning. Fabiano showed a couple of interesting approaches in the Queen’s Gambit, but Magnus replied toothlessly – and we didn’t even get any real idea what the American had prepared. In general, Carlsen’s harmless play with White was a surprise, but I know by my own experience that it happens: the team does its work, the preparation is there – but in the match everything bypasses it, and nothing works out. Well, but what about the Chelyabinsk Variation of the Sicilian Defence? In the Chelyabinsk they made serious advances in a line which is actively employed in matches between computer engines, but of course World Championship matches instantly boost the popularity of opening variations. We know that lately people hadn’t been allowing the Chelyabinsk with White, because everything there had been studied inside out – they didn’t want to spend their time swotting up on it all. But now, after a new direction has been shown that leads to lively, full-blooded play, that's all going to change. I think the variation with Nd5 on move 7 will gain a new lease of life. You said that Caruana was playing to hold with Black, but why did he choose that strategy? After all, even before the match everyone knew that Carlsen would be the clear favourite in the tiebreaks because of his edge in fast play. The thing is that he has a well-worked out opening repertoire which isn’t so easy to rebuild, and the main focus of that is on equalising. Then over the course of the games he didn’t have many opportunities to sharpen things up with Black – perhaps in the 11th game, when he could have played more aggressively. But even there he had a game with White in reserve, meaning a chance to fight, and Caruana actually did go all-in in the 12th game. Finally, for all Carlsen’s edge in rapid, it’s unlikely Fabiano was ready to “bury” himself after 12 games. No doubt he was also hoping to continue the fight in rapid chess. The recap of the final classical game includes Grischuk, "RIP classical chess" and Svidler's "memetastic" response, "Press F to pay respects to classical chess"
Could you identify a turning point in the match when Caruana let his chance slip? Of course if he’d won the eighth game, and he was well on the way to winning, then more likely than not he’d have taken the title. He’d been equalising easily with Black, and with White in that same Chelyabinsk it’s no problem to make a draw. Perhaps that was weighing on him in the last games, but it wasn’t visible from his play. He didn’t look broken, and in general that young man has very strong nerves. It’s another matter that he didn’t get a second such opportunity. How great did the interest in the match seem to you? And how bad was the negative impact of 12 draws? In terms of interest it was all good. Here on chess24, as far as I know, the audience figures were significantly higher than for the Carlsen-Karjakin match in New York. 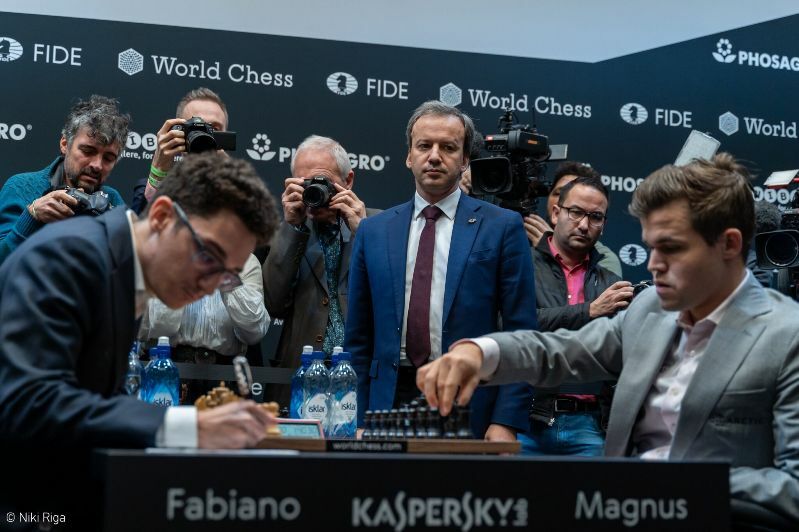 12 draws isn’t good at all, however, from the point of view of a mass audience and promotion, and no doubt now there will be a lot of public discussion about the match “burying classical chess” and so on. I understand all those emotions, but I’d repeat: if Carlsen had won the first game the match would have turned out entirely differently. And overall the match was full of intrigue, while the absence of decisive games was the outcome of an incredible set of circumstances. Therefore it’s important not to react too drastically. But if we do react, then how? Reducing the time control? The chess world has greeted the arrival of Arkady Dvorkovich positively, but do you sense there are already real changes for the better? For now it’s hard to say. Above all serious changes have been announced to the women’s World Championship cycle. I’m a long way from that, but I know the reaction wasn’t unanimous. In general, it’s always like that when changes are made over the course of a cycle. People qualified for one tournament and now another is being held. Of course not everyone is happy with that, but the changes themselves, the new format for the women’s cycle, strike me as sensible.